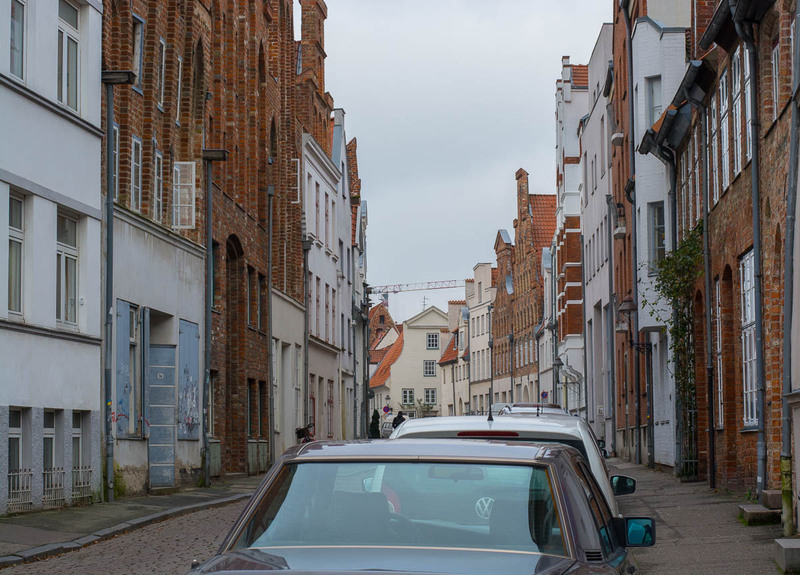 Here is another photo from Lübeck. I shot the photo in one of the streets of the historic district. That part of the city is quite old, and I think you can see this with the architecture. I like the old appearance, but it sometimes hard to take photos of the streets in this district as you either will have people in the photo or parked cars. Also I do wonder if a wide-angle lens would work better for this type of photography, but well, there are still other things on the wish list and I won’t add something to it now (laugh). I don’t mind people. I do mind parked cars. I remember being quite frustrated at times in Napier, New Zealand trying to photograph the art deco style buildings without including parked cars. I only had the one day so in some cases I just had to put up with them. I like a wide angle lens for buildings. When we used film cameras we bought a 24mm lens for that purpose. Now I just use the widest angle of the zoom lens.